I have noticed that some churchgoers feel absolutely miserable when they become undeceived. Their self worth was bound up in their acts of religion. Self-hatred, shame and guilt are a part of the process as well. Serious remorse and sorrow—the grieving stage—is usually followed by intense anger and desire for revenge against those who deceived them. I never experienced any of that. As for me, I was a minister for more than 25 years within a well-known denomination when I got undeceived. I NEVER GOT ANGRY OR BLAMED ANYONE ELSE. I was actually angry BEFORE I got undeceived. That is because most of the time, I was rejected by church folk and other ministers. So once I got undeceived, I realized why people in the institutional church aka the IC did not like me. And so it was very easy for me to forgive them and move on. Also, I really never submitted myself to anyone. I took all the blame primarily on myself. Therefore, all those whom the enemy used to deceive me did not even get a second thought. In fact, I was blissfully joyous. First came shock. Then understanding followed by extreme gratefulness. What I was grateful for is that everything I was wrong on: tongues and other supernatural gifts, tithing, I RARELY PREACHED FROM THE PULPIT. I never insisted that everyone speak in tongues, or tithe. Did I create false conversions? Not many. On a rare occasion, I declared people born again when they “accepted Christ.” I did not do much on “ask Him to come into your heart” though. While I was ministering at the altar, it just did not come to me to say. 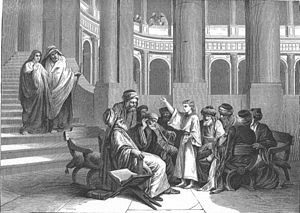 The denomination I was in did not have many people to come forward to accept Christ. The pastors asked the congregations to come forward to join the denomination and then they put them on a 6 months trial. So there were not many people falsely getting born again. I REMAIN VERY GRATEFUL THAT MY MARGIN OF ERROR DID NOT REALLY HURT ANYONE. Actually, I knew from the beginning in 1979 that something was seriously wrong with the church but I thought it was my responsibility to be an instrument for IC change. Recently I heard that the special church I adored and desired to pastor for so many years is practically dead right now. A close ministerial friend who was my rival over that church has now left it in failure and disgrace. Did I feel vindicated? NO. What I felt was utter sadness. You know them by their fruit. One of the stages you should arrive at is being grateful that God saw fit to undeceived you. If you have had a false conversion, if He has un-deceived you, that means He intends to cause you to be born again and to deliver you. I am particularly in awe that most of my life, I thought I was special. I WANTED TO BE KNOWN as the best this or that. The truth is that I did not know what it really means to be special really until God Himself made me special beyond my expectation with the revelations He has given me. No, I had no idea what special really is. If there is a duplicate of me anywhere in the world, I would like to meet him or her. What really shocked me was to discover that the 3 dreams I had in 1979 that told me to go to that particular church were from the devil. That was one of my biggest shocks. It caused me to wonder if God really called me to the ministry while in the church. Certainly, something supernatural DID happen. Was that God or the devil? Was all my work a waste? Did I really cast out demons from people or was it all a sham? Was The Holy Spirit helping me to preach or did my help come from a fallen angel? Well, I have answers to those questions. One way I got an answer was to listen to messages I preached and taught before I was undeceived. I have not heard them all as there are many, but I have not found a mistake or an untruth yet in the ones I have heard thus far. Actually, I am being blessed and re-taught by my own messages. For me, my past spiritual life is not a major concern. I put all those years behind me without much effort. How about you? What has YOUR stages of undeception been like? If you are at the beginning, the middle or even the final stages of being undeceived, you may need some pastoral coaching via telephone sessions. If so, call 888-818-1117 or fill out the contact form below. If you prefer to work on your own, I have prepared resources for you that you can review and obtain by clicking here.